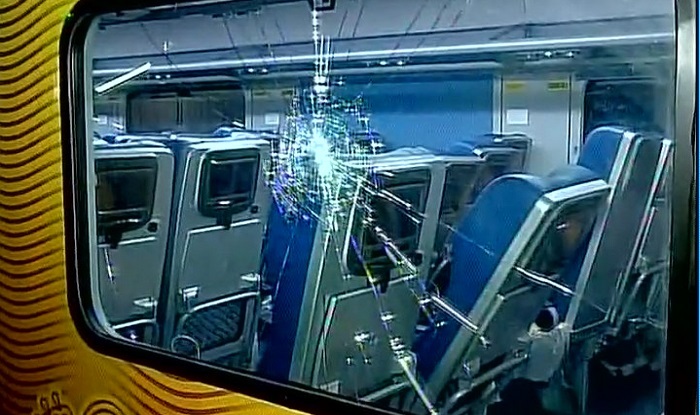 Tejas Express: Day One, several headphones stolen, scratch LCD monitors. The Mumbai-Goa Tejas Superfast Express' maiden run on Monday has left Railway Minister Suresh Prabhu understandably chuffed. What Prabhu probably doesn't know, and what has left the railway officials visibly sheepish, is the railway staff reporting that several headphones were stolen from the train during its very first journey. The impact of the thefts is such that on Wednesday - during the train's journey from Goa to Mumbai - a few passengers complained that they were not provided headphones at all. Tejas hailed as an "airplane moving on the ground" by the Central railway top brass, boasts of amenities such as LED screens attached to seats, Wi-Fi, CCTV cameras, and tea/coffee vending machine. Capable of running at 200 kmph, the train covers the 552-km Mumbai-Goa journey within nine hours. A senior railway official told Mumbai Mirror that "at least a dozen headphones" were missing from the train after Monday's journey. He also said a couple of LED screens had scratch marks on them. "The headphones were distributed just after the journey commenced. There wasn't an announcement to return the headphones because we expected passengers to not carry them away, just like they don't take away pillows and blankets," the official said. When asked the cost of a single headphone on board Tejas, the official merely said, "Not very expensive". The cheapest ticket on the 992-seat train costs Rs 1,185 (chair car, without food), and the most expensive are the executive class ticket at Rs 2,740. The Central Railway's chief public relations officer, Narendra Patil, confirmed the railway staff reported that "a few headphones" were missing from the train after Monday's journey. Yesterday, a senior citizen on board the train's journey to Mumbai said he was not given headphones "despite several reminders". Mahendra Barde, 62, who was traveling with wife, said, "I wanted to watch something on the screen but never got the headphones." Several passengers also complained that the Wi-Fi on the train wasn't active. The railway officials said not much should be looked into these incidents. "These are teething troubles that will be sorted out within a few days. We need to celebrate a train that will eventually change the way India travels," the official said.